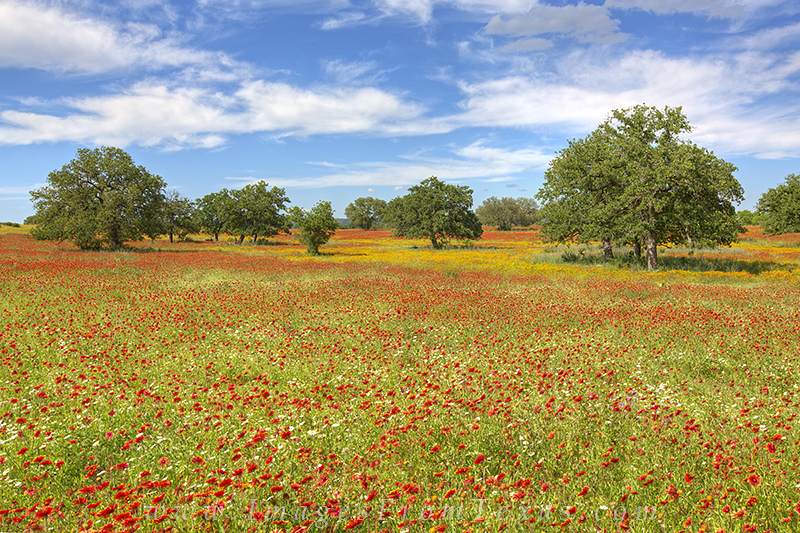 Blue skies and fields on fire with Texas wildflowers are shown in this photograph from the northern Hill Country area. Firewheels, Lazy Daisies, and Bitterweed cover this field on a beautiful spring afternoon between Llano and Pontotoc. Photo © copyright by Rob Greebon.